Anthony Martial has signed a new contract with Manchester United on Deadline Day. The French winger has extended his previous contract for five-and-a-half years, through to June 2024. Man United also have an option for extending it for another year. This means that the 23-year old, who joined the club in 2015 from Monaco, could stay at United until he is 28 or even 29 years old. Of course, that will not matter at this point. Manchester United have done very well to sign him up for a new contract and secure themselves from other clubs. Just to think that two or months ago there was a real possibility of the player thinking about moving out of Manchester due to strained relationship with Jose Mourinho, now seems like distant past. Martial will be very much needed at the club for years to come, as he is the player around him plenty could be built. He is still not reaching his peak and his talents can develop massively. Things seem much better for him under Ole Gunnar Solskjaer and the Norwegian will do worlds of good for him. The Frenchman has eight Premier League goals and an assist this season across 1186 minutes. 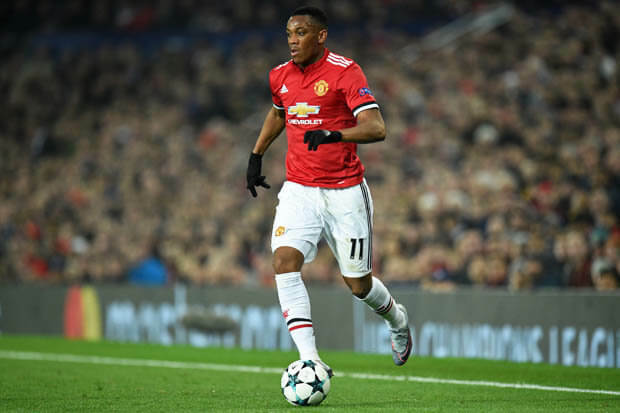 With a goal every 148.25 minutes, Martial is on course for his best league season since joining the club. His record is 11 goals and four assists from three seasons ago and with the team and player in such form, growth in his attacking numbers should be expected. An agreement in principle has been reached between Manchester United and Shandong Luneng for the transfer of Marouane Fellaini. Chinese Super League club. The club from the Far East will pay around 12 million euros for the Belgian midfielder, various media reported on Thursday. This Manchester United will be letting Fellaini go just six months after he signed a new contract last summer. That was probably the thinking behind club’s board, if not the then-manager’s per se, securing him to a new contract, making sure the club will earn money after selling him. The club did exactly that, as Fellaini will leave the club after five and a half years at the club, as Man United’s first post-Sir Alex era signing. This was a wise move from the club, as they will be resetting the button now – getting rid of players that are objectively not able to make impact at the club and clearing space for someone to arrive next summer and take his place. Also, Chinese transfer market is open in February, too, therefore the clubs do not have to rush themselves to finish it up before the end of January. Five young players have left Manchester United on the deadline day. The 22-year old midfielder Matty Willock will spend the following six months Crawley Town. Callum Whelan has joined Port Vale, while teenager Tom Sang has joined non-league AFC Fylde. Zak Dearnley, the 20-year old forward will stay at Oldham Athletic until the end of the season and ply his trade in League Two. The best known of them all is goalkeeper Joel Pereira. After returning from loan in Portugal, the 22-year old has joined KV Kortrijk, Belgian top-flight club. Also, Ro-Shaun Williams moved to Shrewsbury Town on a permanent deal on 30 January.